I found out about this movie…from a cartoon! To be specific, the Warner Brothers classic, “The Ducksters” of 1950. 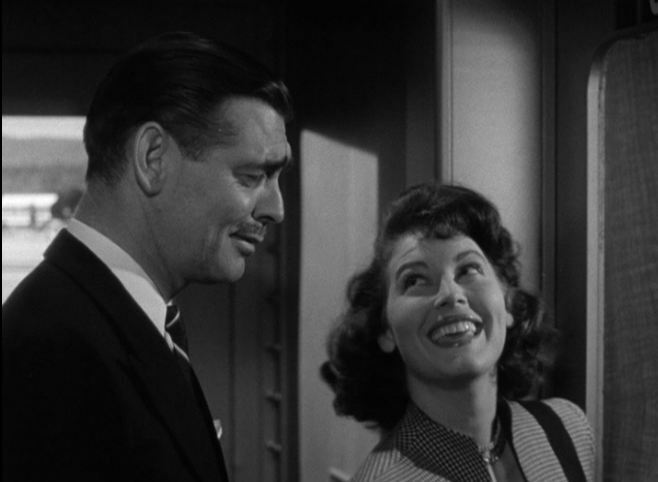 As the entry in Wiki says, the cartoon’s title is a pun on the 1947 Clark Gable picture, “The Hucksters”. I had to check it out. 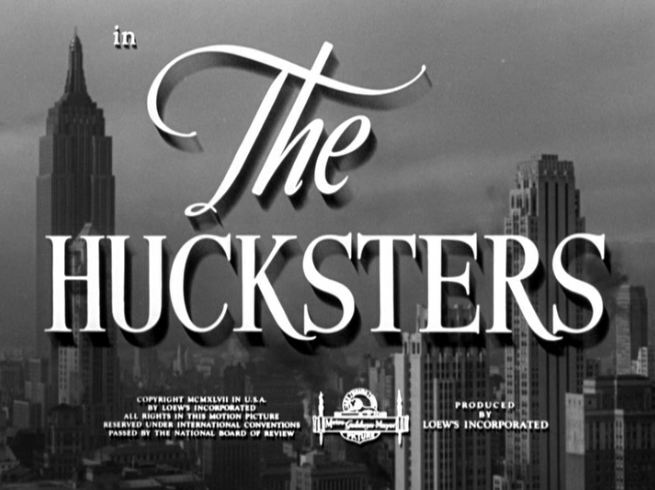 It turns out The Hucksters is mainly a film about the New York advertising racket just after World War 2. 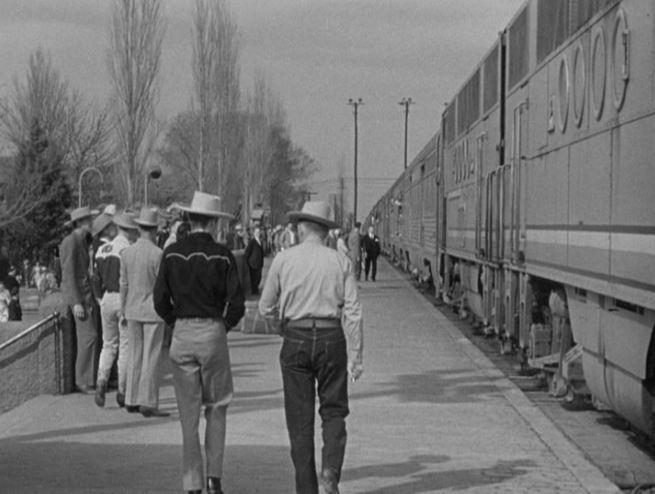 Of more interest to us, a good 10 minute chunk of the movie is a train trip west to Hollywood from New York on the New York Central Railroad and Santa Fe Railway. Let’s see what MGM dishes up in the train department. 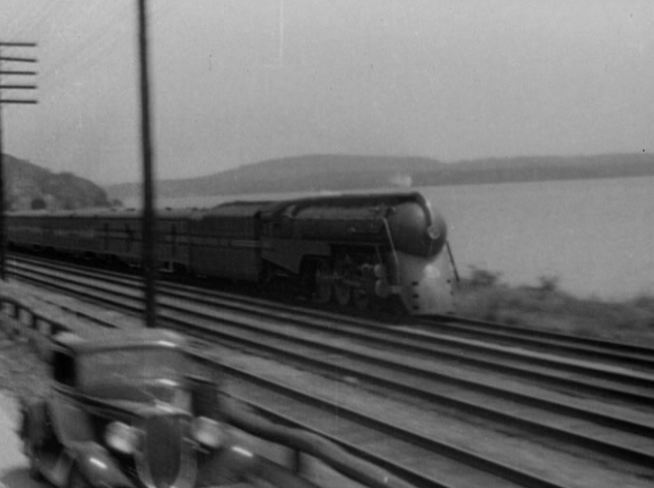 The New York Central Railroad’s famous 20th Century Limited flashes past a Ford Model A as it races up the Hudson River. Notice the Century is running “wrong main”, perhaps for better filming angles. 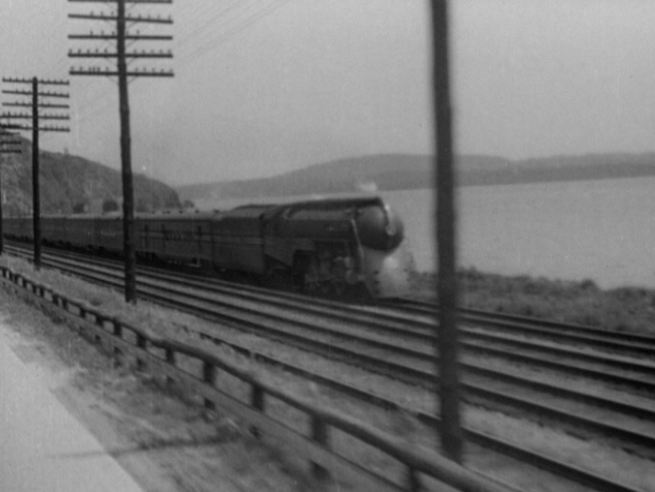 The first train scene is a wonderful panned shot of the NYC’s 20th Century Limited at full gallop northbound (westbound) up the Hudson River. 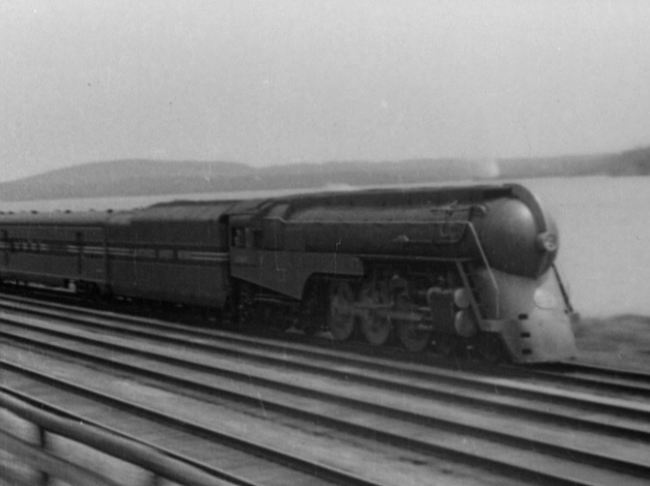 The train is led by one of their classic Dreyfuss-styled streamlined 4-6-4 Hudson steam locomotives. Clark Gable hooks up with Ava Gardner (Rawr-Rawr!) as we get a view of a Pullman bedroom and the train vestibule. Let’s see that tongue, Ava! 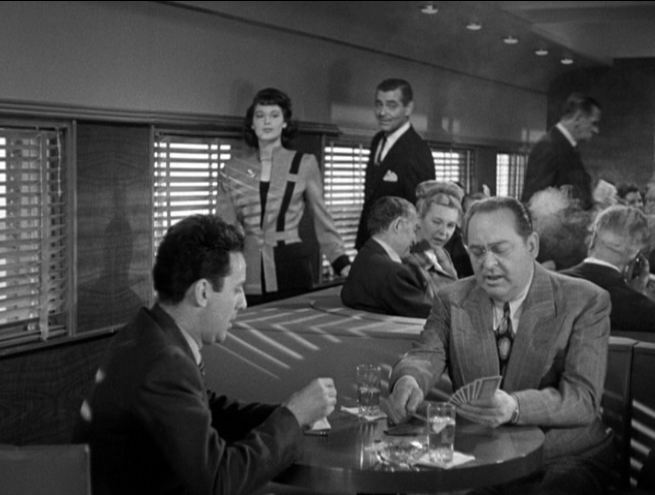 Lounge car views: Ava and Clark make their way down the corridor as two gents are playing cards. 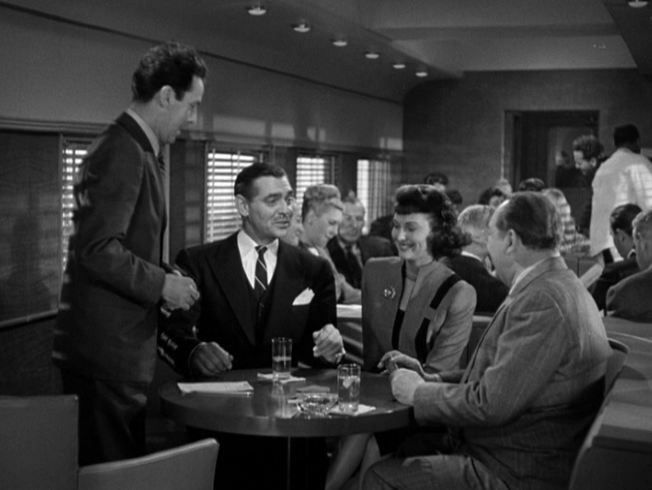 The portly fellow on the right is veteran character actor Edward Arnold with 149 IMDb movie entries to his credit. 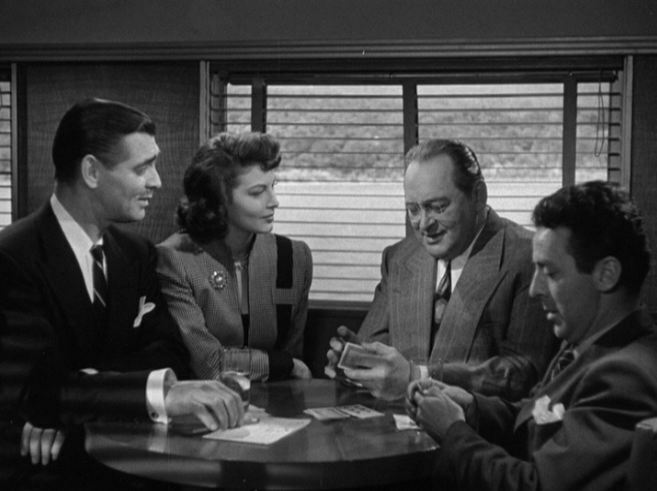 More card games in the lounge car (the Hudson River is getting narrower in the background); Clark receives a Western Union telegram at a station stop. 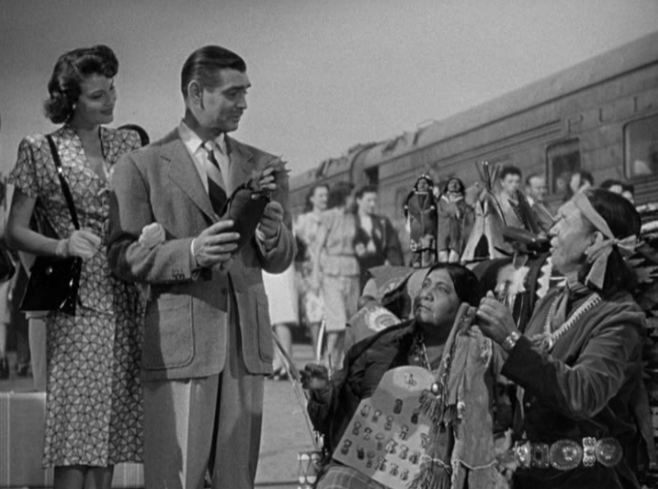 After a day or so, we now find Clark and Ava on Santa Fe’s Super Chief. 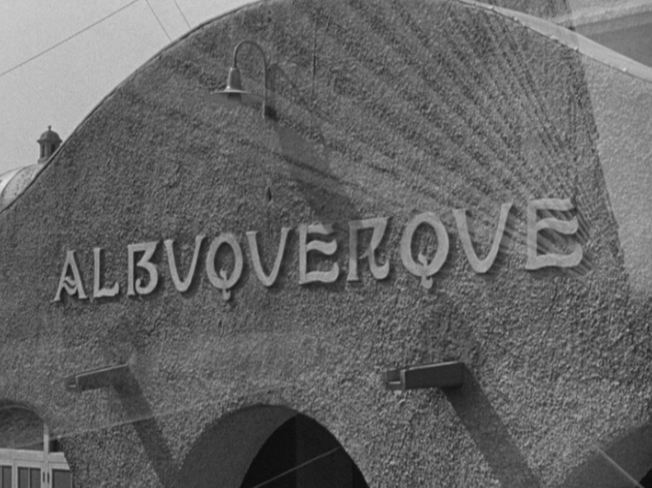 What appears to be an early EMD E1 in full “Warbonnet” paint scheme approaching the camera; Albuquerque, New Mexico depot sign. EMD FT units lead the Super Chief into Albuquerque depot; Ava and Clark barter with the Native Indians at the Albuquerque stop. 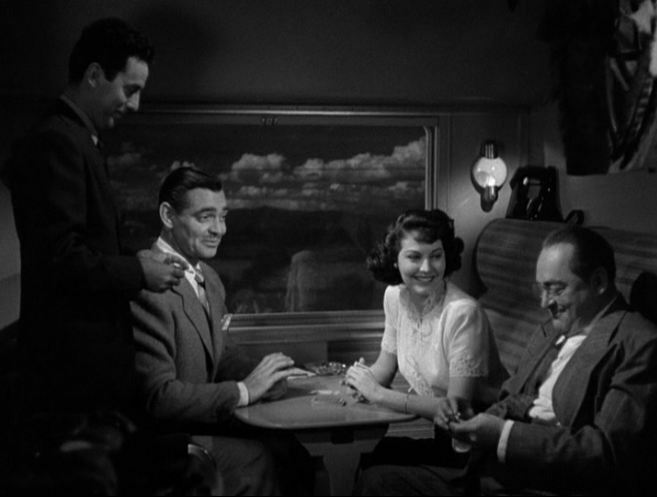 Our final train scene with yet another foursome playing cards as the train rolls through the night. 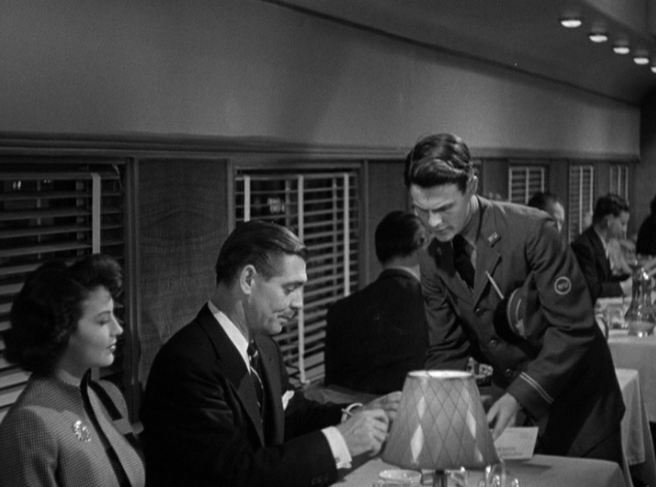 This appears to be at a different location/table in the lounge car. Note the artwork on the bulkhead to the right. The movie itself was just OK – a few laughs here and there, but it drags in places. 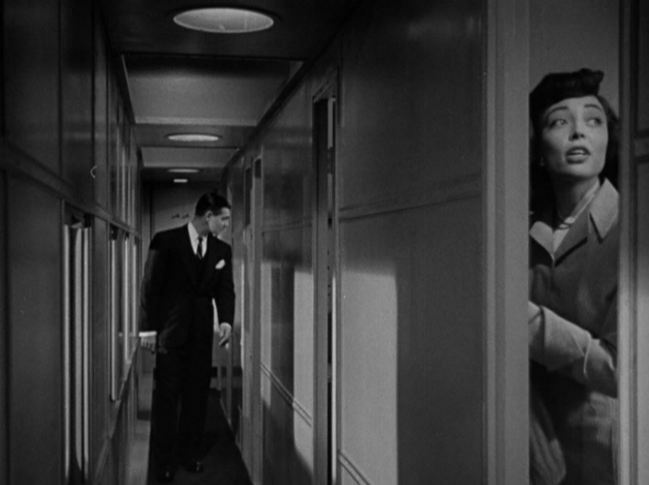 The train scenes were well done, however, particularly the NYC Hudson’s dash up the river. 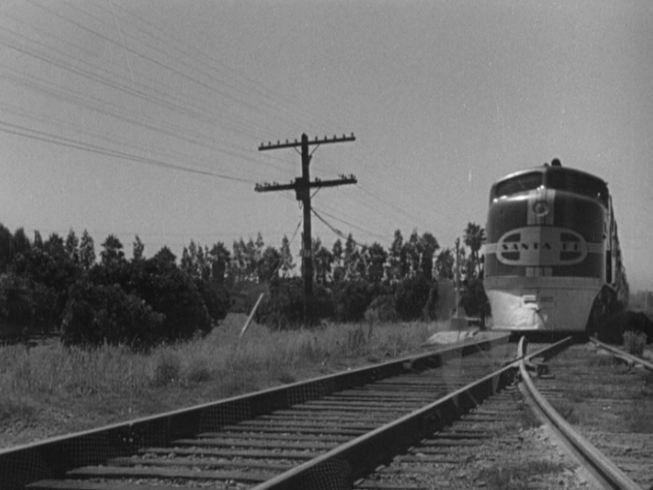 Therefore, this flick deserves worthy inclusion as an obscure train movie! 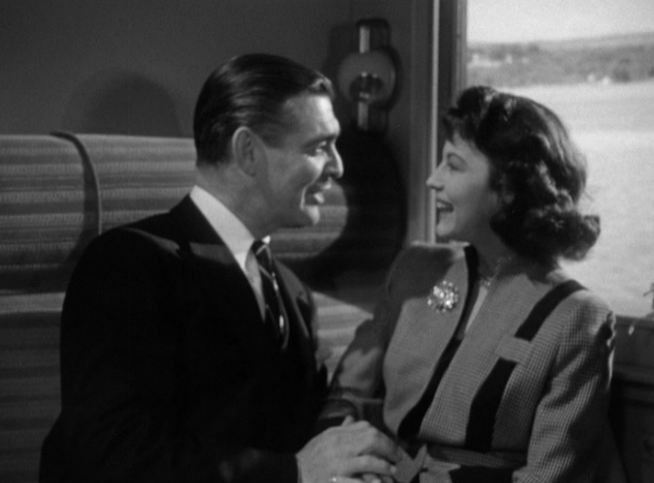 This entry was posted in Uncategorized and tagged 1947, 20th Century Limited, Albuquerque, Atchison Topeka and Santa Fe Railroad, Ava Gardner, Clark Gable, Marie Windsor, Metro-Goldwyn-Mayer, New York Central Railroad, Pullman, Super Chief, The Ducksters, The Hucksters. Bookmark the permalink.